This is a sponsored conversation written by me on behalf of Air Wick®. The opinions and text are all mine. Spring is one of my favorite seasons to decorate for. 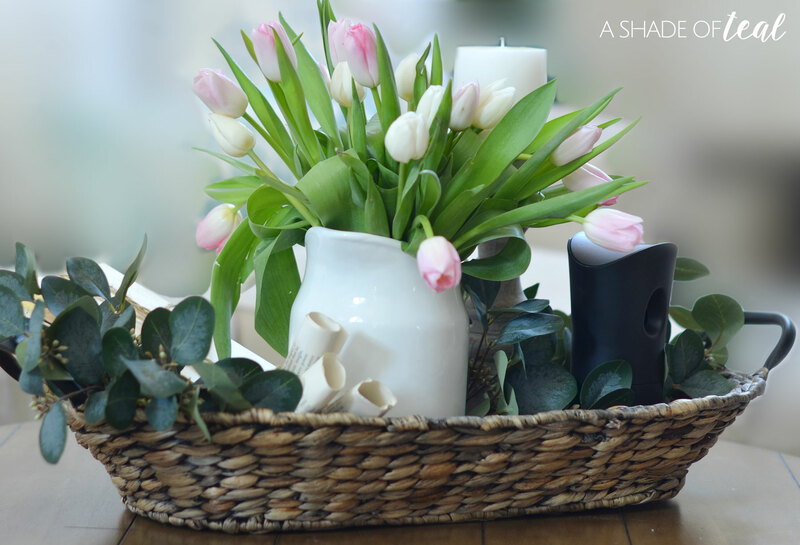 I love incorporating spring into my home with flowers, neutral decor, and plenty of greenery. 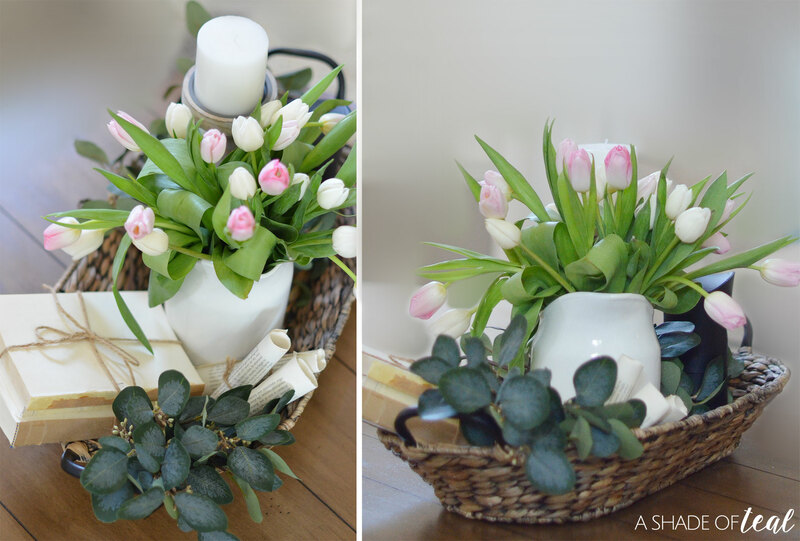 A simple way to do that is to create a Springtime Vignette! Most of my greenery is faux, but I do like to bring in fresh flowers from time to time. 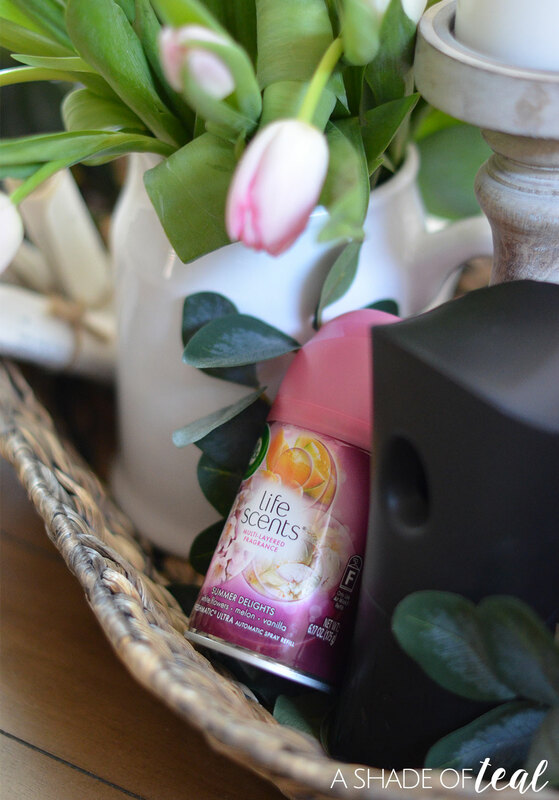 I also love to freshen my home’s smell with scents from Air Wick® Freshmatic® Ultra! My favorite has been their Summer Delights fragrance which is a mix of White Flowers, Melon & Vanilla Scents. 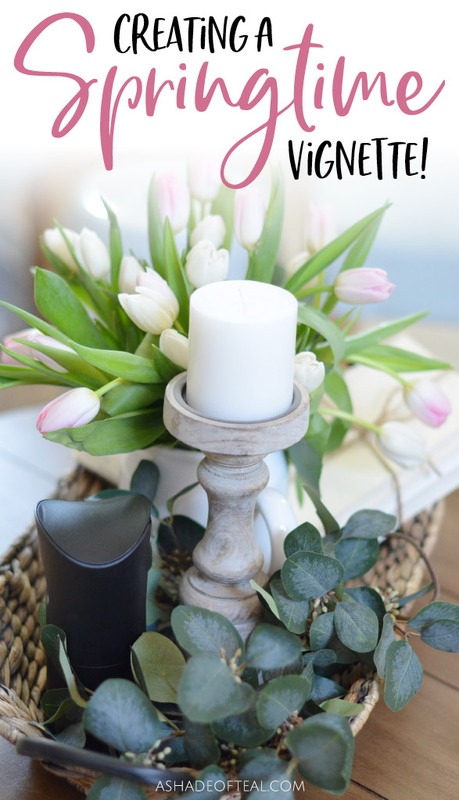 I always try to place the Air Wick Freshmatic Ultra in a central position within my home (of course making sure it’s at least 6 feet above the floor), that way it has a better chance to freshen my entire home. 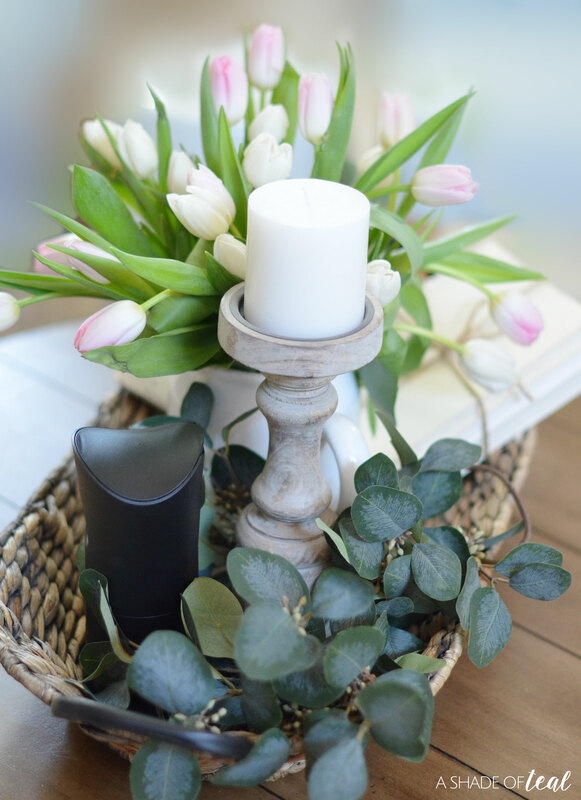 With Air Wick room fragrances it’s easy to recreate your favorite season through scent, from the comfort of your own home. Adding fragrance is an easy way to add personality and character to your home. The power of scent is also a great way to give each space in your house a distinct feel. As the seasons change, so does your mood and your home. Air Wick offers a rich palette of fragrances, so you can easily match the perfect scent with the occasion, time of year, or weather. That’s why I absolutely love the Summer Delights scent. Anything to remind me of warmer months, fresh flowers, and spring days is a plus. Pick an area of your home like a shelf or top of a bookcase (at least 6 feet tall); where you can make it the focus of the room is best. Start off with a tray or basket to be the base. Add varying pieces to create different heights for interest. For example, candles and a flower vase. Or dishware and books work great as well. Layer with fresh or faux flowers, or both! Sometimes faux flowers look better than the real thing, plus you never have to worry about them dying. Add some simple neutral decor like plain books, vases, or book page scrolls. Anything neutral to balance the vignette helps. Fill the empty spaces with extra greenery. I definitely prefer faux in this case since fresh greenery that’s not in water can die pretty quickly. 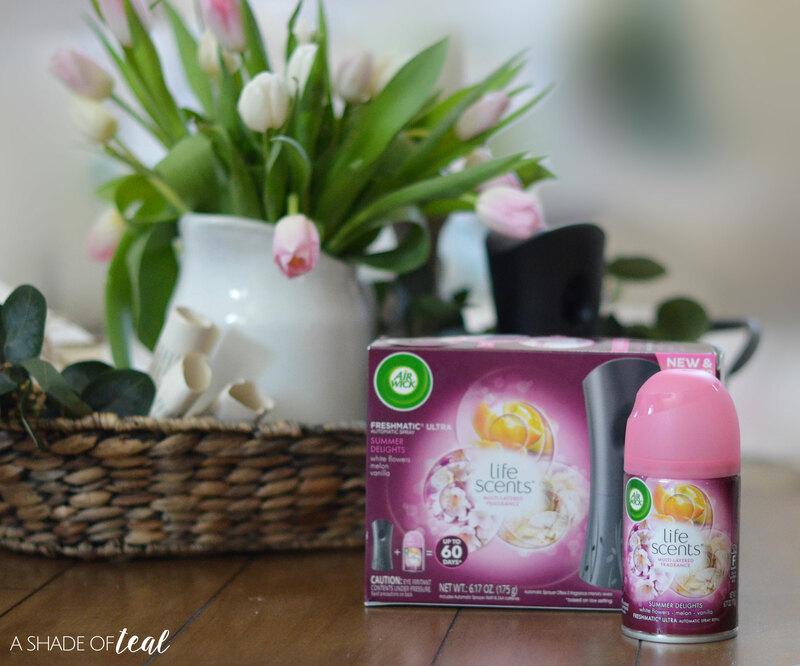 Finally, don’t forget to add the Air Wick Freshmatic Ultra to help freshen up your space and truly bring springtime into your home. You can pick up a Starter Kit at Target. Air Wick Freshmatic Ultra automatically delivers regular and consistent bursts of fragrance throughout the day, so you have the reassurance of your home always smelling great. The different decorative finishes offer a choice to allow you to select the right gadget to blend with the décor of your home. With the starter kit you get a black dispenser which easily blends in with the rest of my vignette. 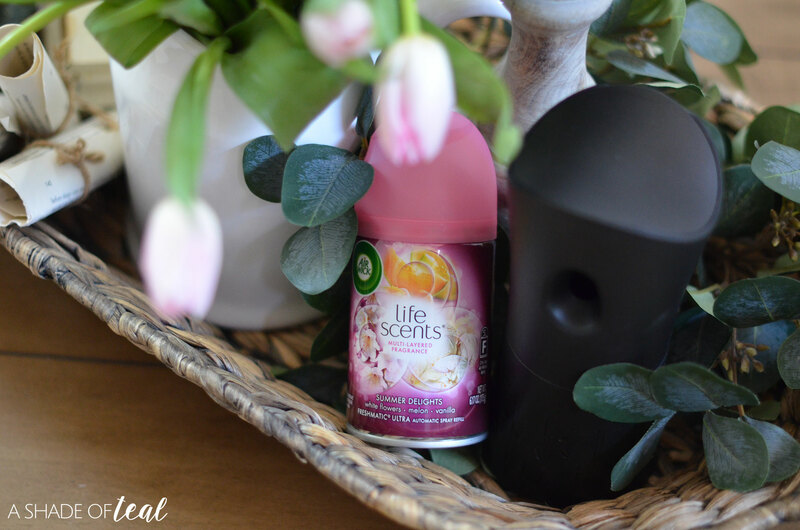 The Air Wick Freshmatic Ultra is also adjustable and allows you to choose your level of scent intensity. Some days I want a heavy scent, while other days I prefer a very soft scent. Using the gadget is pretty simple; always make sure the unit is directed away from your face. Then start by making sure the unit is off, next open the front cover, insert the refill can, close the unit (again making sure you point it away from your face) and finally select the desired level of fragrance. The 1st spray will come after a 15-second delay. Air Wick has many products that contain natural essential oils sourced from around the world. These scented oils diffuse a long-lasting fragrance that makes it easy to create the atmosphere you desire infused with natural essential oils for natural fragrance. So are you ready to bring springtime into your home? 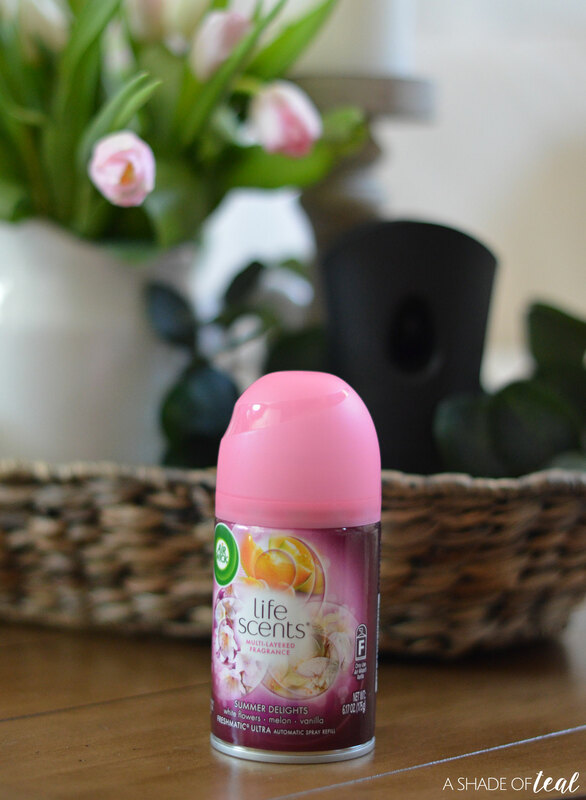 Then head on over to Target and pick up an Air Wick Freshmatic Ultra – Starter Kit Life Scent in Summer Delights. Go purchase online >>> HERE. Learning to Decorate with Color! How to Easily add Patio Lighting Anywhere! « The Perfect First Food for your Baby! about your blog, your so creative.